Sign up for Broadjam today to follow Verbal Kint, and be notified when they upload new stuff or update their news! 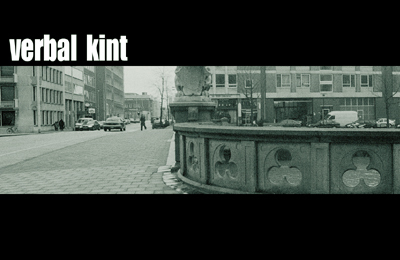 Rogier Oster & Dennis Moerkerk are the people behind Verbal Kint. They used to play in a Rock Band called Twist of Fate which was (and still is) very popular in the Rotterdam Rock Scene. During the Twist of Fate years Rogier & Dennis became interested in more laidback grooves and chilled sounds, and when the band broke-up they decided to try out some new stuff. Before joining Twist of Fate Dennis already made productions in his studio for several respected dance labels (Blackhole, NEWS..). Now they make the Verbal Kint sound with Rogier playing the drums and Dennis for sounds and production.